Welcome to the Herobrine Fan Club. If you've found him, are a fan, praise him, or just like Minecraft, then register today! If you've already done that, then log in! You've posted 2/1158 of all posts. We now have a Steam group! » Herobrine is haunting my world. » Has anyone seen Herobrine? Favorite saying/Humor : let lips do what hands do! Hello... I'm xXHerobrinetteXx. Now I don't feel so nervous. It's because I'm a sis of a dead miner who is evil. 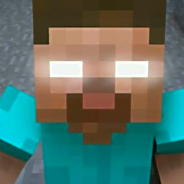 Please talk to me if you don't know some things about Herobrine. Welcome to the fan club! We respect all people. If we don't, YOU GET BANNED!!! Location : HIS forest in a shack. Favorite saying/Humor : Death trap! It's nice to have you here. Welcome!!! Herobrinette, I hear that your bro has an attraction to butter ( gold ) and gravel. Any proof to it? How do you know about my obsessi---?? I don't like gravel.